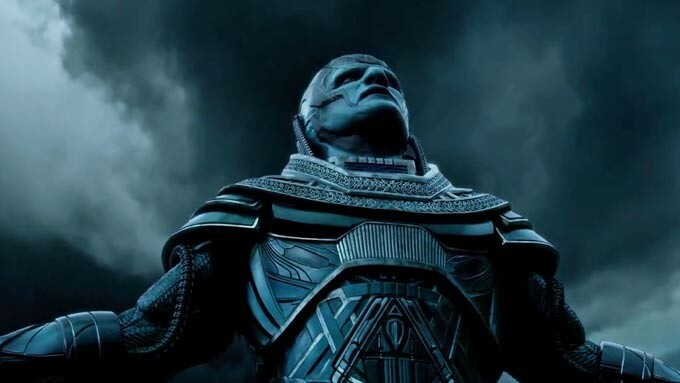 The ultimate X-Men villain rises in the biggest battle of beloved superheroes in X-Men: Apocalypse as seen in the latest official international trailer reveal. Directed by blockbuster filmmaker Bryan Singer, X-Men: Apocalypse features returning mutants Raven/Mystique played by Jennifer Lawrence, Magneto (Michael Fassbender), Charles Xavier (James McAvoy), Moira MacTaggert (Rose Byrne), Quicksilver (Evan Peters), Beast (Nicholas Hoult), Havoc (Lucas Till) and Bill Stryker (Josh Helman). The movie also introduces up and coming actors Oscar Isaac who plays Apocalypse, Tye Sheridan as Cyclops, Alexandra Shipp as Storm, Sophie Turner as Jean Grey, Kodi Smit-McPhee as Nightcrawler, Ben Hardy as Angel, Lana Condor as Jubilee, and Olivia Munn as Psylocke. X-Men: Apocalypse will bring the audience into a world never-before-seen as they try to stop their greatest nemesis in his plan of global destruction. Being the first original mutant from Marvel’s X-Men universe, Apocalypse is also the most powerful who amassed many of the other mutants’ powers making him immortal and invincible. Awakening thousands of years after, he assembles his own team of mutants which he calls The Four Horsemen – War (Magneto), Death (Angel), Pestilence (Psylocke) and Famine (Storm) to help him annihilate the world. To stop Apocalypse’s path of global destruction, Raven/Mystique and Professor X must convince Magneto to abandon Apocalypse and join them and a new team of young X-Men. An epic showdown is about to happen in cinemas nationwide on May 18, 2016 (in the Philippines) when the X-men confronts their most legendary and most powerful enemy in X-Men: Apocalypse, from 20th Century Fox to be distributed by Warner Bros.